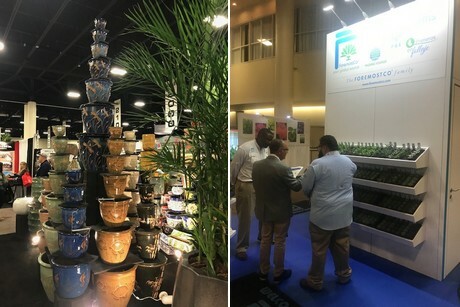 The Tropical Plant International Expo (TPIE) welcomed 6,488 attendees to this year's three-day industry trade show, which took place at the Broward County Convention Center. Photo taken by Jos de Boer of ForemostCo. Affirming TPIE’s credentials as an international show, attendees hailed from 46 different nations on six continents. Stateside, attendees came from 47 states. 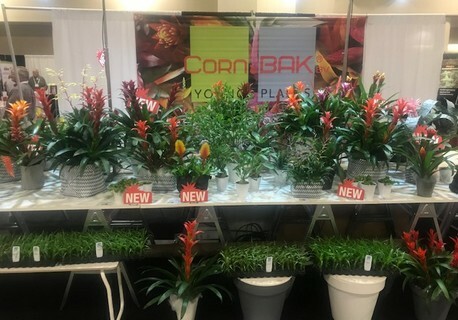 Nearly 400 companies exhibited in over 800 booth spaces at the show representing a mix of wholesale nurseries, brokers and related suppliers, offering a full array of products and services such as decorative containers, soils, care supplies and transportation. 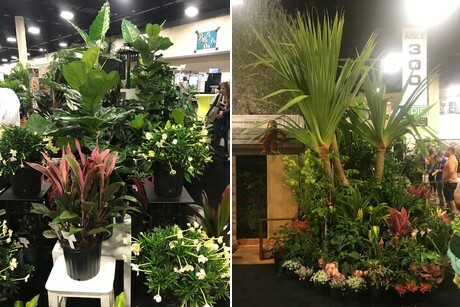 TPIE Awarded New indoor plant varieties - Anthura, based in the Netherlands, was awarded Most Unusual Single Plant Specimen for its anthurium Livium. Also awarded at the show was the Favorite New Foliage Plant, dracaena White Aspen, from Costa Farms. Cool Products - Fifteen products were selected for TPIE's Cool Product Awards at the show. Here’s a link to the Cool Products Awards gallery, complete with the particulars on each product. Also, please see this document for further details on Award winners. 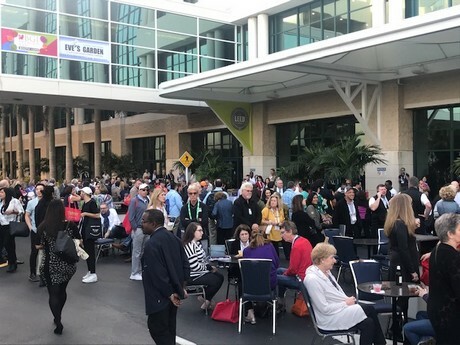 TPIE Opening Session focused on trends - international trends analyst Christine Boland before a full house presented 'Principles of Progress' where Boland shared four key consumer drivers and design trends. Boland’s concepts are used in product development by companies throughout the world. Please see attached document for more information on Boland’s presentation. Emerging Trends on Display - Industry design experts from the American Institute of Floral Designers were given the challenge to take four of the emerging trends Christine Boland spoke of in the TPIE Opening Session and create displays which express these trends: Fantasea - fluid shapes, flowing patterns, irregular surfaces; Modern/Art Deco - clean, simple lines providing a sense of tranquillity; Poptimistic Play - fun forms which project innocence, optimism and unconcern; Global Arts & Craft - handcrafted detail, tribal graphics, tribal two-toned, folksy crafts. Displays were stationed in the lobby of the Convention Center. Economist Charlie Hall, Ph.D, presented TPIE’s Elevating Expectations session, ‘The Forecast for 2019 - Bright Skies or Storm Clouds?’ In his presentation, Hall, who serves as Ellison Chair in Int'l Floriculture for the Dept. 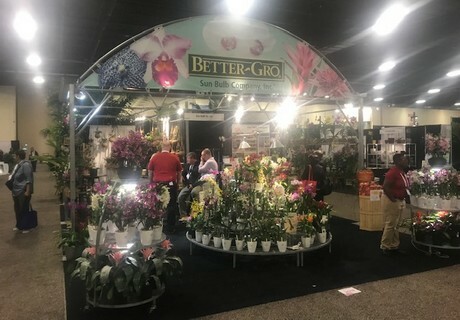 of Horticultural Sciences at Texas A&M University, highlighted an overall favorable market in 2019, but also cautioned about increased costs due to trade and inflationary effects. Hall also implored green industry firms to monitor contingencies closely (e.g. the government shutdown, trade war effects, interest rate changes, etc.) and begin contingency planning for a downturn when it does occur. Curious about the show? Jos de Boer of ForemostCo, one of the exhibitors, sent us some pictures to provide an impression of the exhibition. 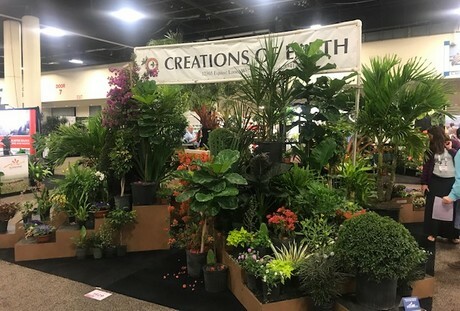 TPIE, the Tropical Plant International Expo, is produced by FNGLA, the nation's largest state nursery and landscape association. 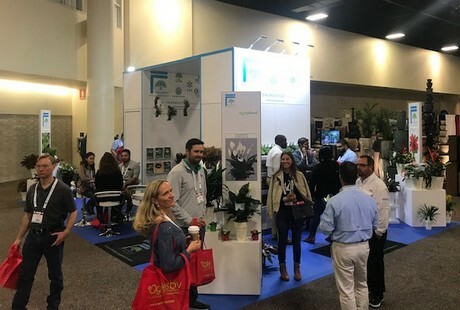 FNGLA represents Florida's environmental horticulture industry which generated $21 billion total output sales in 2015 and directly employed 232,000 people.